I can see you are very good with executing commands that was fast thank you. We have to deal with system partition not having assigned any partition letter then rebuild BCD store. Please give me few minutes for me to write you a guide on how to do that. okay ill have to do this tomorrow now, given the time, thank you for your help so far. You are very welcome, i have different way of repairing system boot files stored at system partition . 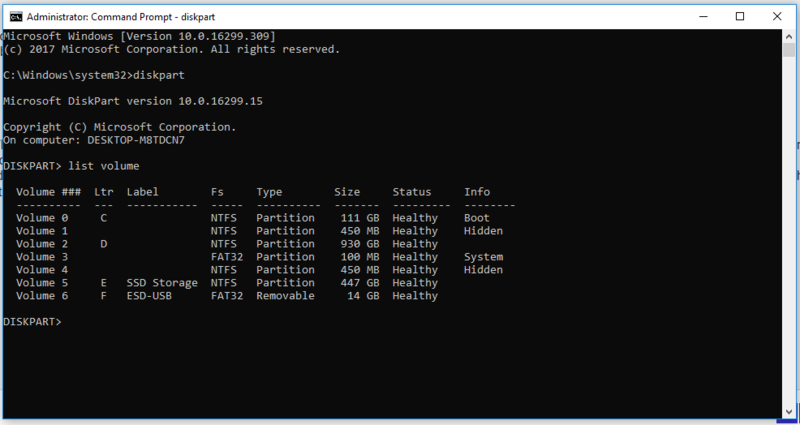 You will have to use Diskpart command to find out the System Reserved partition assigned number. The output of the below commands may display the name of the System Reserved partition as only System or ESP. Under the label row, find the label System Reserved and note its corresponding Volume number. Now type select Volume=N and press Enter, where N is the Volume number you noted earlier. Now type assign letter=w and press Enter. Type bcdboot C:\Windows /s w: /f ALL and press Enter. Its Volume 3 with FAT32 file system, 100MB partition size and Info section list it as a System. Please restart your computer to find out issue resolved. sadly issue came up straight away. Is it the same error message if its follow the instructions at below tutorial. Any questions please let me know! Okay thank you follow the instructions at the tutorial. I followed the instructions worked fine until step 15 then it didn't recognise the info and the following 16 didn't work, 17 did so I would guess I would need to do this again if so? Can you check and see if System volume have been assigned a drive letter if not assign a drive letter to System volume and follow the instructions starting from step 15. Select Volume=N and press Enter, where N is the Volume number you noted earlier. Follow the instructions starting from step 15. When you assign a drive letter (W) or any other drive letter use this drive letter starting from step 15. Okay back to step 15 so instead of C:\ should I be in W? Or instead of attrib C:\ it should be W:\ ?